Are you travelling to sardinia for a spring break or a beach holiday? 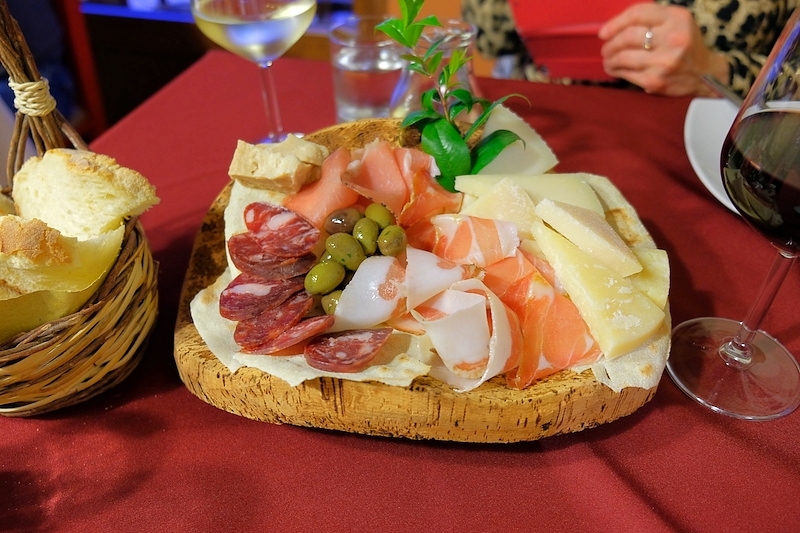 or are you just coming to feed yourself with the best italian sea food or porchetto - suckling pig as I usually do? Whatever your reason of visiting sardinia is, you are very probable to land either in alghero, olbia or cagliari. 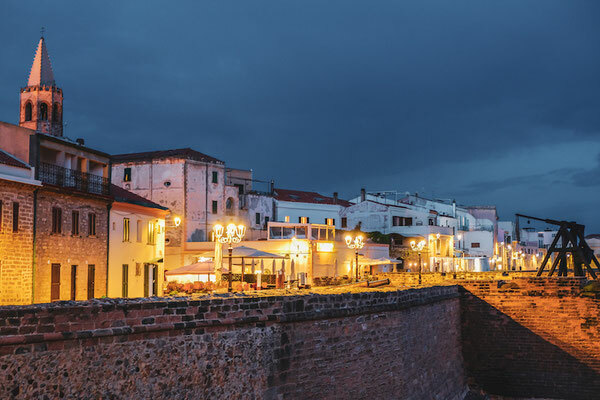 These 3 are the busiest airports on the second largest island of Italy. 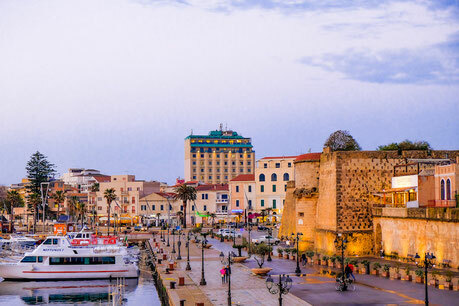 And because I usually fly to alghero for its direct flights to Bratislava - Slovakia (That´s where I come from), i can share my top 5 places with you, which I love to visit, while beeing in this stunning historical italo-catalan harbour. In April 2018 I took 4 days off and flew with my mom to the beautiful island of precious nature, good food and stunning beaches. I don´t know how about you, but I don´t enjoy flying very much. 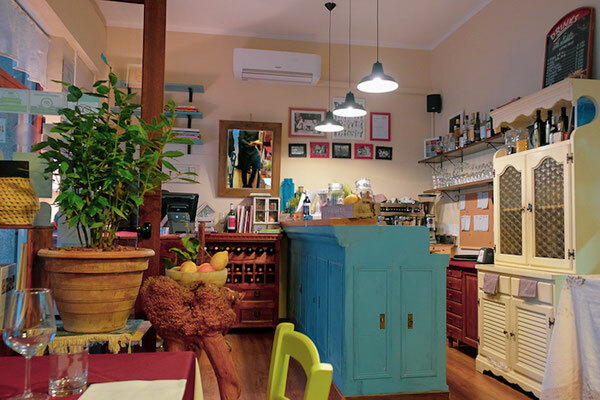 It is quite stressful for me even if I know that at the end of the day I will be eventually sipping on a glass of prosecco (the most probably) in my dream destination. 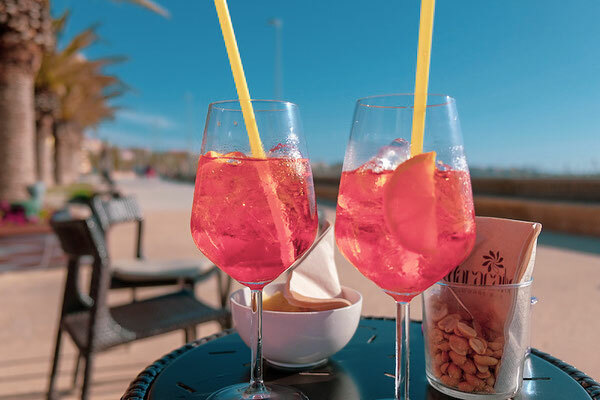 For this occassion - sipping on a glass of cold prosecco I don´t know better location in Alghero than the Maracaibo Beach Coctail Bar on the Lungomare Barcellona. 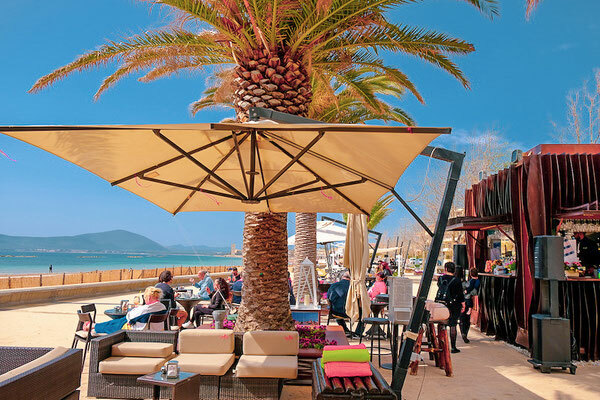 This bar is situated next to the beach "Spiaggia del Lido di Alghero" with one of the most stunning view of the old harbour, Capo Caccia and the Cathedral of Santa Maria. Just like the locals, you can watch the life goes by by sitting there too, drinking a chilled glass of aperol spritz or a good italian coffee. This would be the Number 1 of what I´do love to do in Alghero. 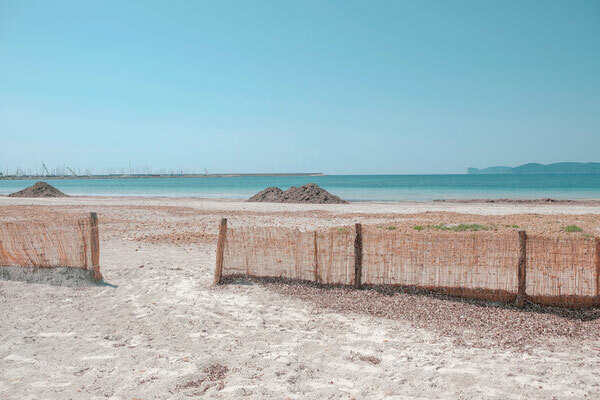 There are few ways how to get to Neptune´s Cave - one of the most popular tourist places to visit in/near Alghero. If you´d like to visit the Cliffs of Capo Caccia which stand above the Neptune´s Grotto, you can do so by car, bus or a boat. 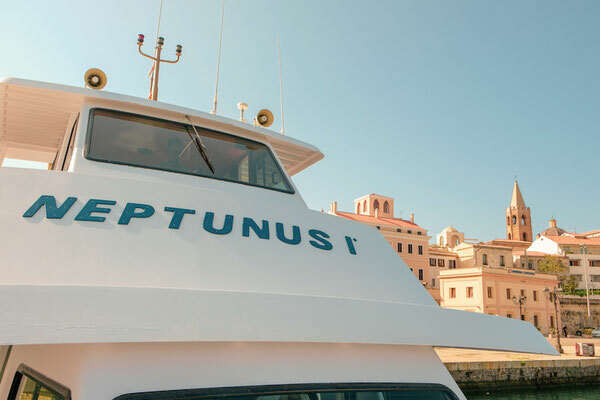 I would recommend taking the boat at price of 16€/p.P., departing from the Harbour of Alghero, or by taking a car (if you have one rented). 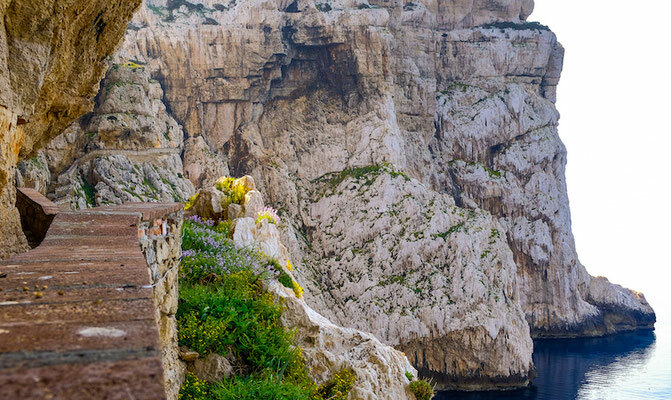 Make sure, if you come by car or bus and want to sea the stalactites and the stalagmites of the Neptune´s Cave, you have to be fit enough to climb more than 650 stairs down and the same back up the hill. 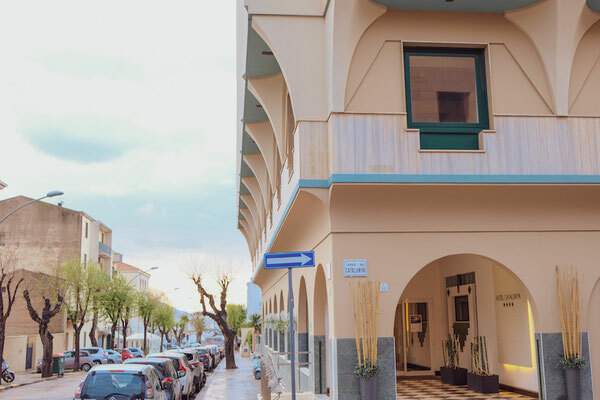 If visiting Sardinia in the middle of hot summer, make sure, you are not entering Grotta di Nettuno at the midday where the temperatures raise to 35 degrees of Celsius. My recommendation is to see the Neptune staircase from the top, just before the sun goes down and climbing few steps down for taking some stunning shots of surroundings with your Fuji camera. I cannot say if it is worth to go to the cave itself - I have never been inside. There are surely admirable things to look at inside, but make sure you have enough cash with you. The ticket to see the cave itself costs about 13€ per Person extra. 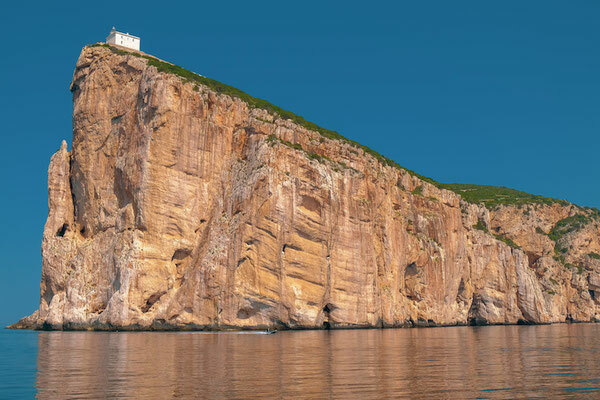 But even if you do not enter the cave, it is worth of visiting the stunning, breath taking cliffs of Capo Caccia and its looong staircase. Is it raining and you want to sit down, relax and have a good glass of wine with the best view of a town, not to be soaking wet?Then this is surely the spot to go to. 10th floor of the 4* Hotel Catalunya. The best view of all. To visit the Sky Bar on the 10th floor, you need to enter the lobby of the hotel, turn right and call the elevator. 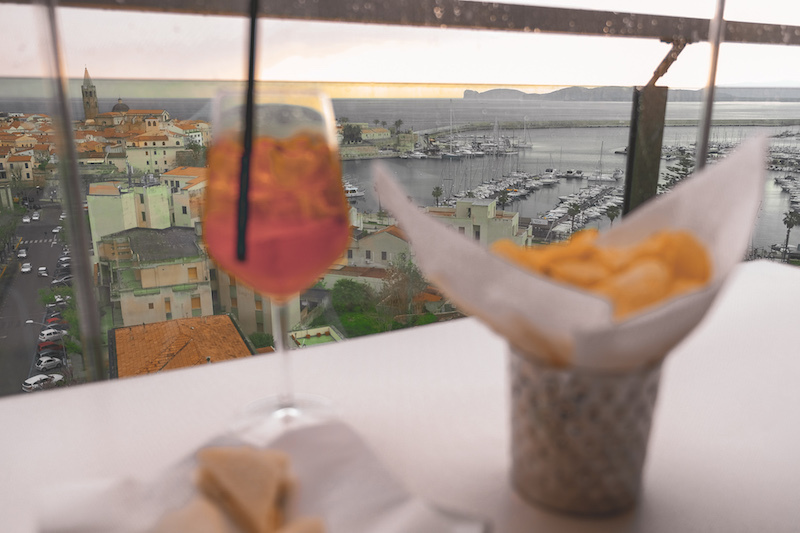 Once you have choosen the table to sit at, you can start enjoying the stunning view of Alghero. I don´t think there is any higher building in Alghero than Hotel Catalunya. 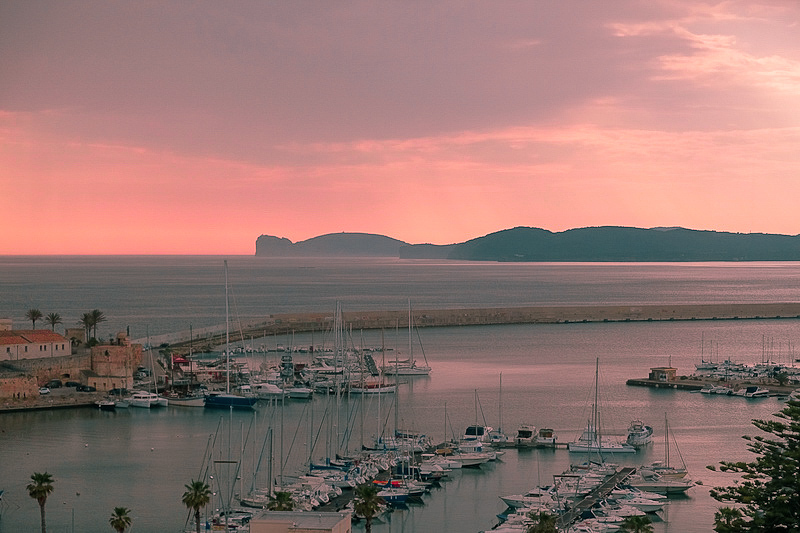 So yes, this must be the best view of Alghero. The drinks in the Sky bar are at average price, I would say. Nothing outrageous. I paid for a glass of Aperol Spritz 6€ which is less than you would pay in a good restaurant in the middle of Vienna. Drinks are served with bowl of potato crisps and mini tramezzini . Yumm! 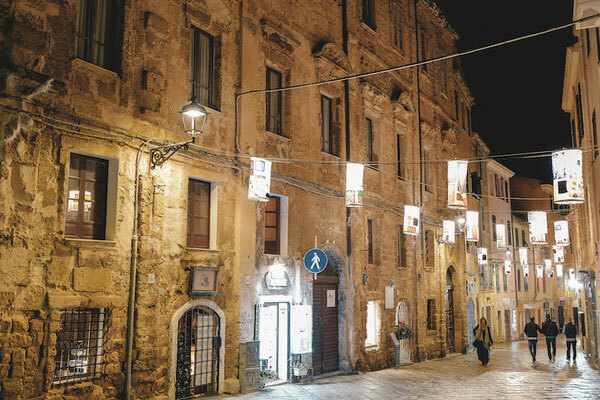 The old historic town of Alghero has been fascinating me since I have first visited Sardinia. 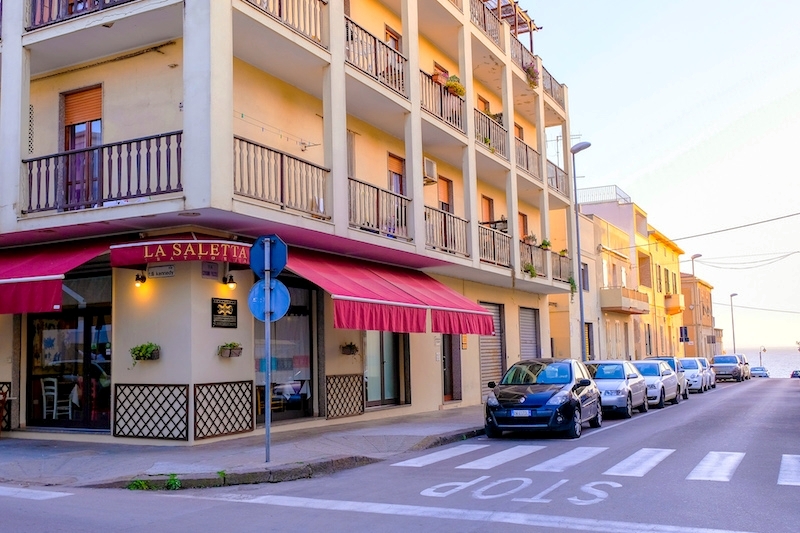 Its ancient walls surrounding the gothic catalan buildings, including the Cathedral of Santa Maria and Chiesa di San Francesco from 14th century, are the most remarkable attributes of the town. You can endlessly walk around and take pictures of beautiful architecture, yachts, the sea, people sitting in bars sipping on coctails, etc. 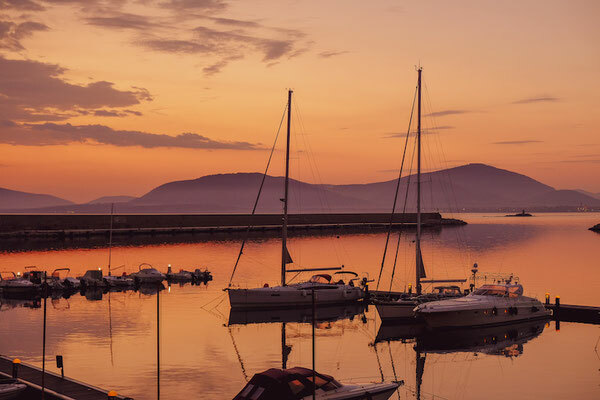 If you are lucky enough, you will experience wonderful sunset which you will never forget..
there is a boat shuttle which you can take to get you to Capo Caccia. The 16€ price is not for a day but a return ticket to get to the Neptune´s Cave by boat.